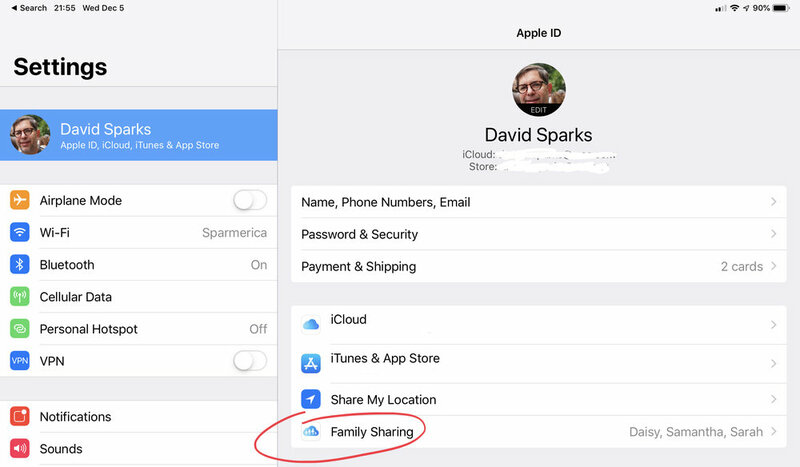 You may not have noticed, but last year Apple enabled a new feature that lets family members share a single pool of iCloud storage. I have the 2TB (terabyte) plan. For me and my family, that’s enough for iCloud storage and over a terabyte of available storage. Rather than pay for unused space, I can have my other family members join in that pool and, in turn, cancel their iCloud storage plans to save a few bucks. To do so, go to the Settings app on your iOS device and select your iCloud account. Then tap on the Family Sharing button. Next, look down at the shared features and pay attention to the iCloud Storage line. If it is Off, then tap it to turn it On. This prompts you through a few screens to send notifications to your family members. They need to accept to join, but when you’re done, you will have all your storage for a little less money.